Urgent required payments, so urgent need to sale flat in very low price, It's 3BHK +Big Terrace Flat, Main Road View with Reserved Car Parking Modular kitchen and Garden in Society, Good looking Complex and well maintai society, situated at prime location near shilp chowk, Appejay School, Om navjeevan Hospital, Jalvayu Vihar bus stand, Iskon Temple and Central Park, BEST,NMMT bus and auto service nearby property and also Cidco garden, hospital, Mall, supermarker, Bank, ATM, General Market,etc. nearby, all title clear, loan possible from any financial institute.payment ratio 75-25% so hurry up plx call me for more details. call Ram Prajapati-nine eight two zero four triple one eight one. 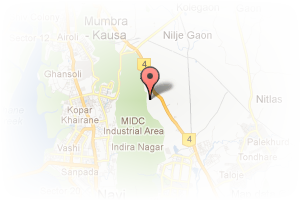 Address: Sector-21, Kharghar, Navi Mumbai, Maharashtra, India. This Broker Profile page for "Town Real Estate" has been created by PropertyWala.com. 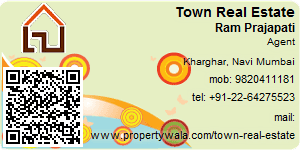 "Town Real Estate" is not endorsed by or affiliated with PropertyWala.com. For questions regarding Broker Profiles on PropertyWala.com please contact us.